Hey guys, with a 2jzgtte from japan, how easy is it to simply make a single turbo? Is it as easy as new ecu , single turbo, (possibly injectors)? Is a new ecu even completely necessary? It is extremely hard to swap to a single turbo on a GTE motor, very much like using the search button on this website. Just keep the stock twins and crank the boost to 30 psi. Although iridebmx, and jjffyy came across kind of harsh, they are correct. This topic and swap has been completed more times than any group of 10 people can count using their toes and fingers. But to touch base on your question, yes its easy to make single turbo if your pockets are deep enough, and to the rest of your question..no. 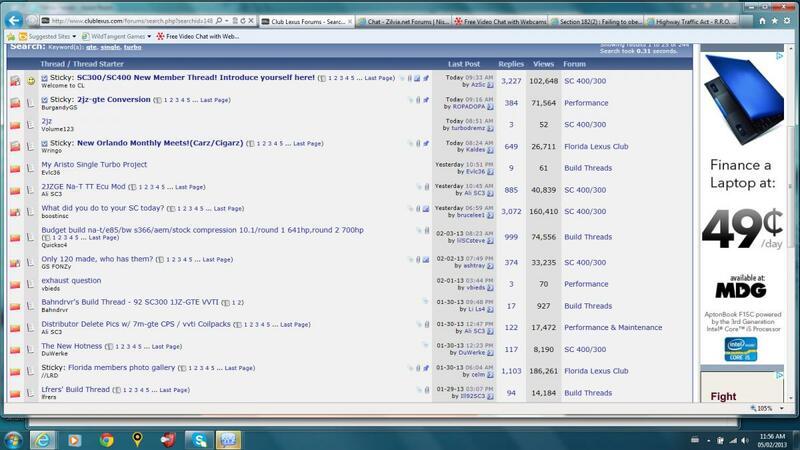 But there is more to the swap than just going to a single turbo, and this is where the forums search function comes into play. It will answer EVERY possible question you could imagine without having to post a new thread about each one, and will avoid responses as such. Its easier to just explain it to him in point form, most of the searched threads he will find have little bits of info here and there mixed in with responses telling people to search. Here is what i got from 'searching' GTE single turbo. A mixed bag of picture threads and what did you do to your sc today and a few build threads. Although there is a sticky on a GTE conversion thread at least and maybe one more relevant thread. I dont use it anymore I just use google. Last edited by 1WILLY1; 02-05-13 at 09:30 AM. Ok wireless, that was pretty much the main questions you answered thanks. I just kind of needed some clarification, that obvioulsy, it won't be too expensive then to simply buy a single, some piping and swap out the twins. And about the search, I was on my phone which is a huge POS so I could not search at the time and needed answers, but I should have waited your correct. So...who all spent more effort bashing the op than it woulda taken to post an answer? Thats why clear thread titles is very helpfull, to prevent cluttering the forum. While your question is very specific as to what is required for a single upgrade, your thread title is just 2jz. Searching clublexus with google can also be helpful, and you will get results in other sections besides the SC section, which if talking about gte stuff there is good info in the GS and IS forums as well. Thanks to those that are helping out with what seems to be the easy questions. sometimes getting the question and answer in one page with a good title is all it takes for people to actually find the info when searching. The single conversion will cost you quite a bit especially if you dont plan on installing the parts yourself (stock twins is a PITA to remove if the motor has already been installed. The best way is to buy a turbo kit that is proven to work on the SC or youll have to pay for custom fabrication.